The seven judge constitution bench of the Supreme Court which is hearing a slew of petitions relating to decisions and questions on electoral malpractices arising out of its earlier judgments today said for now it will not touch on its 1995 definition of “hindutva is a way of life and not a religion” and also not ban its use during elections. The 7-judge SC bench said it was only examining a nexus between religious leaders and candidates and its legality under Section 123 (3) of the Representation of People Act. The remarks were made by the bench when, at the outset of the hearing, some advocates sought to intervene in the ongoing hearing which commenced last Tuesday. Last week, Setalvad had sought to intervene in the matter with an application stating that religion and politics should not be mixed and a direction be passed to de-link religion from politics. 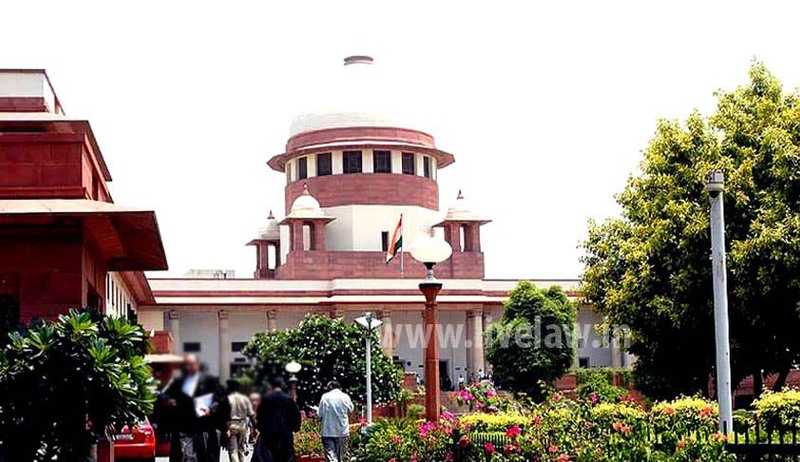 The matter had ended up with the seven judge bench as questions were raised on its 1995 verdict by a three judge bench which held that vote in name of "Hindutva/ Hinduism" did not prejudicially affect any candidate and since then three election petitions are pending on the subject before the apex court. The apex court's three-judge bench in 1995 had held that Hindutva/Hinduism is a way of life of the people in the sub-continent and "is a state of mind." The judgment was delivered in the case of Manohar Joshi versus NB Patil which was authored by Justice JS Verma who found that statement by Joshi that "First Hindu State will be established in Maharashtra did not amount to appeal on ground of religion." The observation was made while dealing with the question regarding the scope of corrupt practices mentioned in sub-section (3) of Section 123 of the 1951 Representation of People Act. It said,"In the course of arguments, our attention has been invited to the order of this Court dated August 20, 2002 in Narayan Singh vs. Sunderlal Patwa 1. By this order, a Constitution Bench of five Judges has referred the question regarding the scope of corrupt practice mentioned in sub-section (3) of Section 123 of the 1951 Act to a larger Bench of seven Judges. "This became necessary in view of the earlier decision of a Constitution Bench of this Court in Kultar Singh vs. Mukhtiar Singh," the bench said.